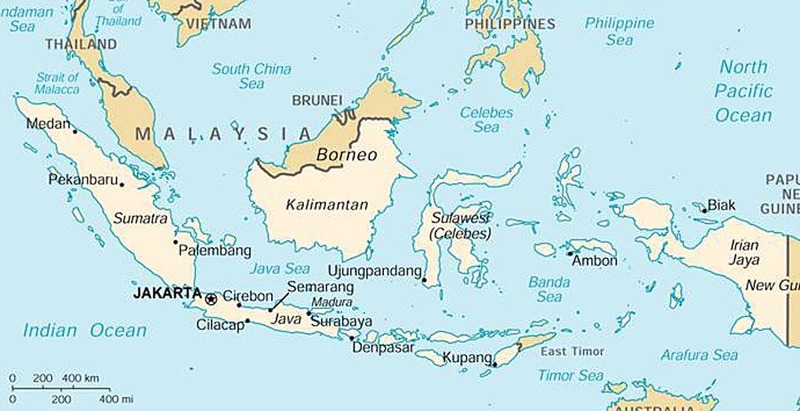 Indonesia is the fourth largest country and the largest archipelago in the world. It is on the crossroad between the Pacific and Indian oceans, which allows them to be a bridge between Australia and Asia. (SAS n.d) With such geographical advantage, it gives Indonesia an influx of foreign influence that greatly impact and benefits the creative industry. Throughout the years, foreign influences streaming into Indonesia consistently, for many various reasons such as trade and tourism. In the past, the active trade markets of goods such as ceramic and silk from China and India has resulted in the fusion between foreign art and culture with traditional Javanese arts. (SAS n.d) The Javanese art that we see today is a result of the cultural fusion, and these influences continue till today. 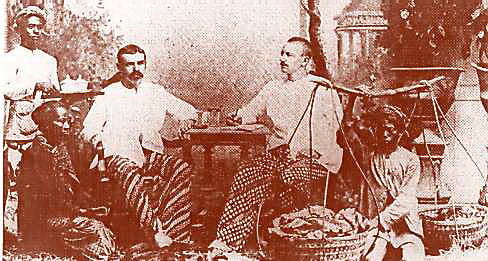 Dutch entrepreneurs settled in Indonesia, wearing batik clothes. From the past till today, Indonesia has consistently, both passively (tourism and trade) and actively (collaborations with foreign countries) introduced foreign influence on their domestic art and creative industry. This will allow them to further improve on their ever-growing local art scenes as well as being able to need the needs and demands of the international markets. I believe that the location and size of Indonesia is advantageous to the nation, particularly by embracing the demands of their domestic market and also welcoming foreign collaborations and investors. Mari Elka Pangestu of the Tourism and Creative Economy Ministry said “The domestic market will be the main driver in consumption of this industry” and the creative industry makes up at least 17 percent of the domestic consumption. (Yulisman, 2014) This further illustrates that the locals embrace their local creative talents and thus allowing the sector of the country to blossom. Indonesia is the bridge between Australia and Asia. As a Singaporean and a South-East Asian, I find it appropriate to compare the design scene in Singapore and Indonesia. Despite the differences between Singapore as a developed country and Indonesia as a developing country, I can boldly say that the local art scenes between these two countries are very contrasting. Indonesia is way ahead of Singapore in terms of domestic consumption of art. In my opinion, this is due to the education systems in both countries; Singapore’s education system is too rigid and is focused on research and development. There is a lot of social pressure to keep up the fast-paced lifestyle, which creates an environment that discourages creativity (Institute of Policy Studies 2008). Singaporean parents do no consider arts education “practical” choice. However in Indonesia, one of the standard competencies for elementary school graduates is “use information of their environment logically, critically and creatively” as well as to “demonstrate the ability to think creatively and innovatively” for junior high school graduates (UNESCO 2011). Such standards encourage creativity in Indonesians since young and create an art-embracing environment for children to grow up in. I didn’t previously know this about Singapore, it will be interesting to see how your experiences growing up in that country will influence the way you experience Indonesia. It also leaves me feeling excited to experience a surplus of art once we arrive, the students studying there will have a unique view of the relationship between art and design I’m sure! Yes I agree with Meredith. What was interesting is how the practicality of an arts course was seen different in two contrasting countries. You mentioned that Singaporean parents do nothing to consider art as practical, whereas in Indonesia its the opposite- creativity being encouraged deeply.